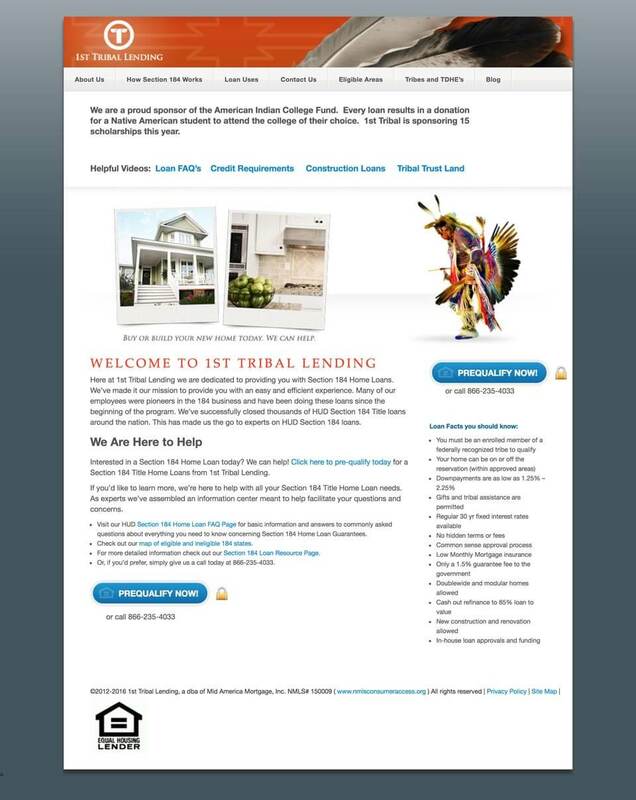 1st Tribal Lending is the go-to expert in HUD Section 184 home loans for Native Americans. 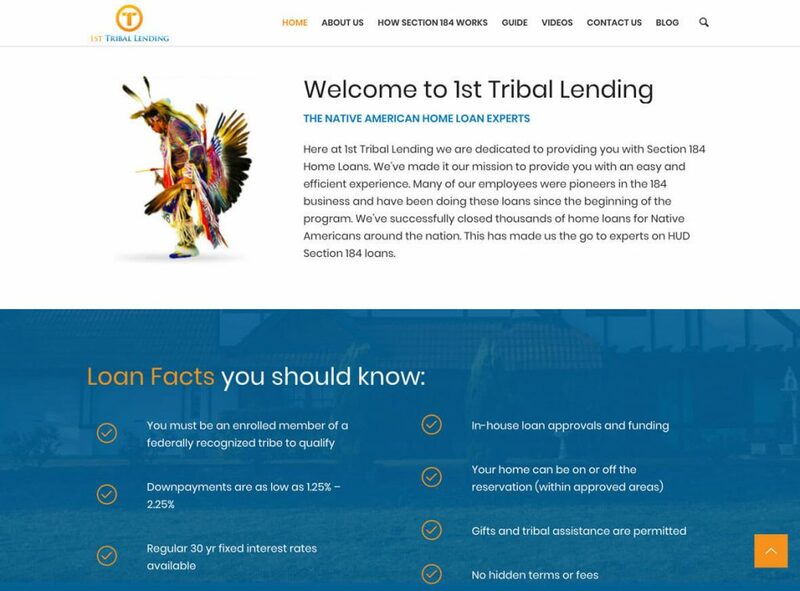 With business growing, 1st Tribal required a new website with mobile support and a smoother loan pre-qualification process. 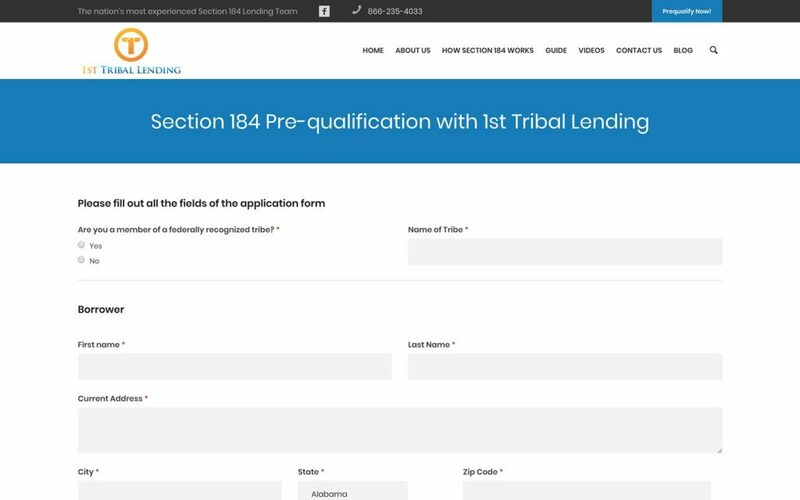 The revamped website simplifies the pre-qual application process, and provides a fresh, updated experience for users on any device. In addition to a fresh look and mobile support, the new site includes a smart referral system. 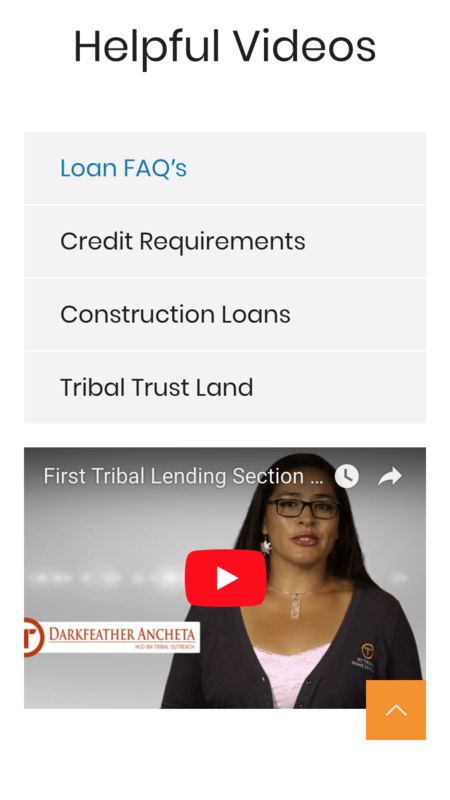 Each 1st Tribal loan officer has a custom URL that ensures that they receive the right loan applications. 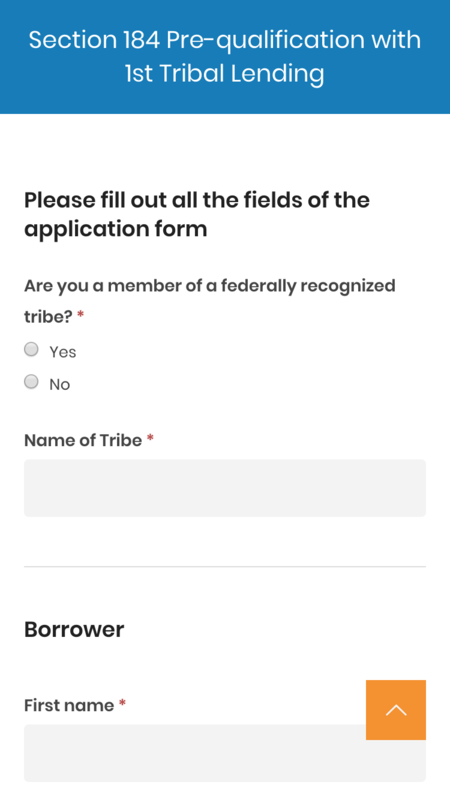 For example, 1st Tribal loan officer Jim Mahoney can direct his clients to www.1tribal.com/jim, and rest assured that he’ll always receive their applications even if they browse around the site or leave and return later. 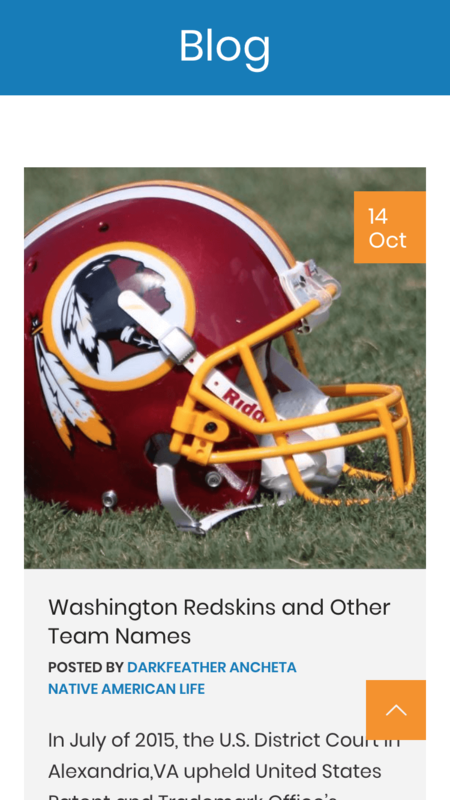 The site is now completely mobile-enabled, drastically improving the mobile experience. 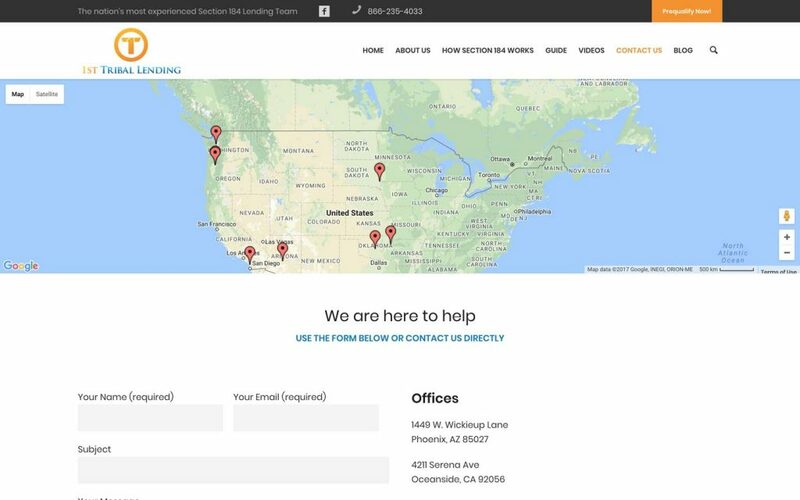 Improved navigation means that users can quickly find the information they need; including video guides, FAQ’s and help center information. The videos themselves now play directly within the web site, providing a more consistent experience. 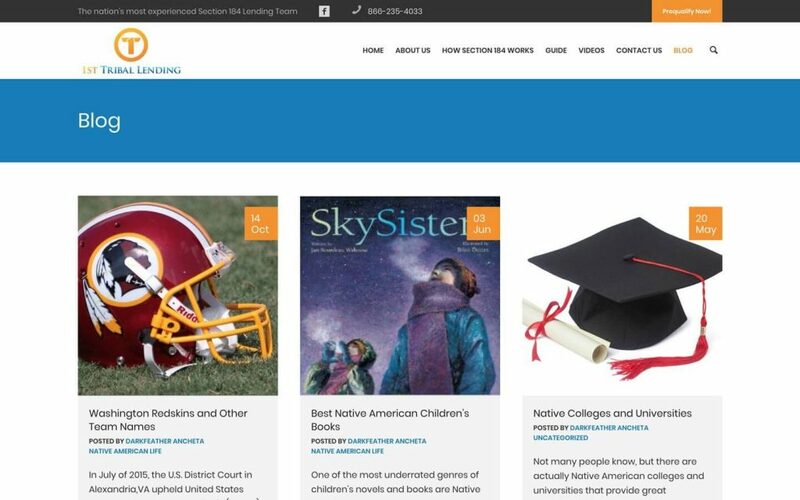 Contact forms, blogs and social media sharing enables visitors to reach out to 1st Tribal via more channels. 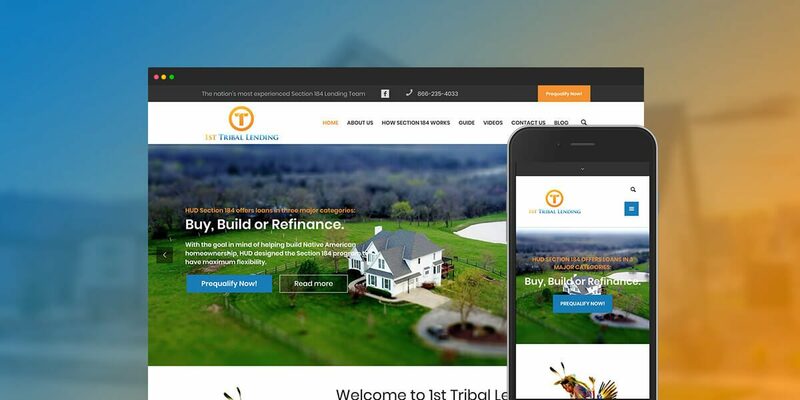 In addition to providing a fresh experience with improved branding, the new 1st Tribal website delivers a better conversion & satisfaction rate due to its responsive support of all devices. 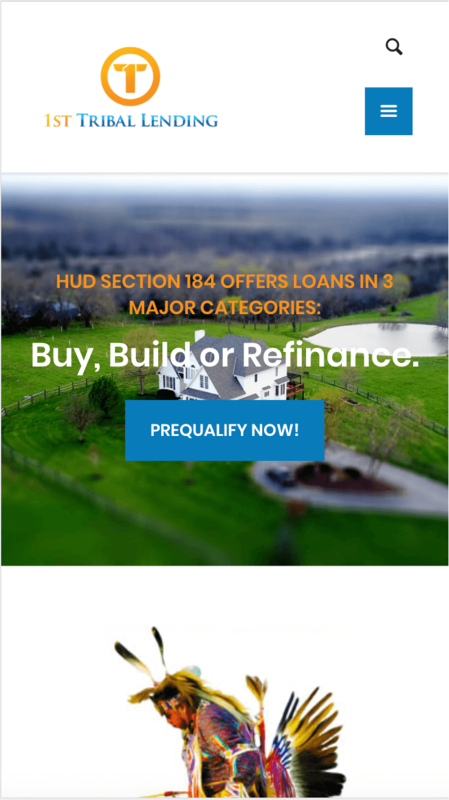 The pre-qualification form tracking and referral tracking system add immense value and efficiency to the loan management process. The new overall current look and feel also adds to general brand value and credibility. Here’s a side-by-side comparison of the old and new web sites.